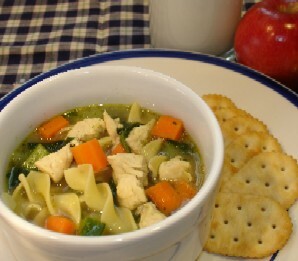 Chicken Noodle Soup - who doesn't love a good, home-made comfort food? Great for kids, after skiing, for lunch or as a dinner on a cold night. Soup has diced chicken, celery, carrots, parsley and egg noodles. We threw in some spinach for added nutrition and color. A great use for your grocer's rotisserie chicken. Buy a cooked, rotisserie chicken at the grocery instead of cooking chicken breast. 1. 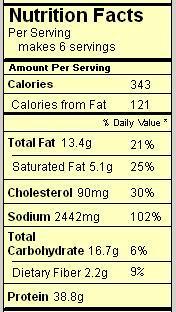 Pour all ingredients except noodles into crockpot and cook on low 5 to 7 hours or on High 3 to 4 hours. 2. Add noodles 30 minutes before serving.